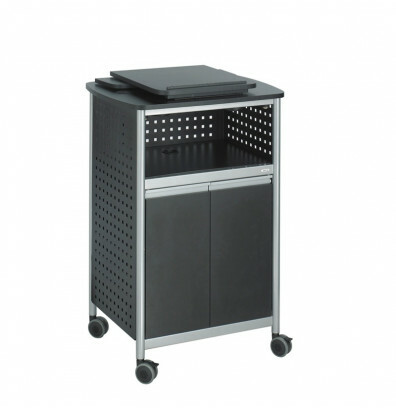 Safco Scoot 8922BL multipurpose lectern is a presentation podium with plenty of storage for speaking aids and materials. The platform top folds down for easier user visibility. 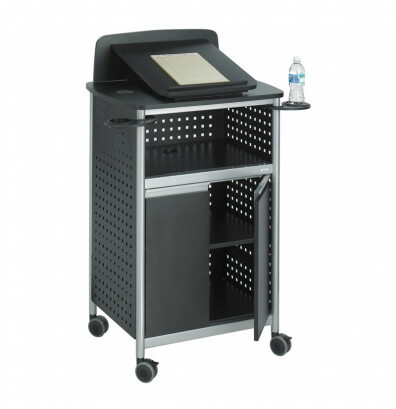 Dimensions: 28.75" W x 22" D x 49.75" H.
Safco Scoot 8922BL multipurpose lectern offers a mobile platform for conducting presentations. The platform top folds down for easier user visibility. Enclosed, large storage area includes an adjustable shelf. Wire management grommets organize messy cables. 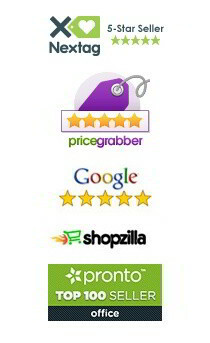 Long-lasting laminate surfaces. Sturdy black powder coated steel construction. Includes two swivel cup holders for beverage convenience. Ships ready to assemble.